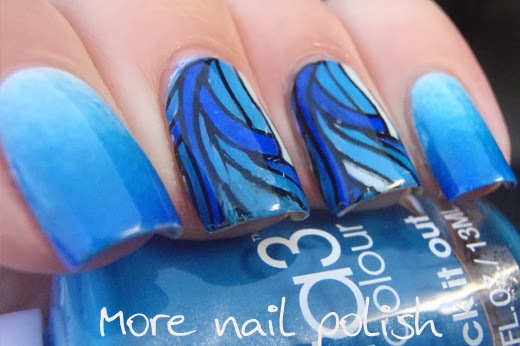 The 31 Day Challenge left me hankering for more nail art, so here is something I wore last week. It would have worked perfectly for Day 5 - Blue. I did my two middle fingers and thumbs using the reverse stamping technique. The process is very simple and involves stamping onto a piece of plastic and then colouring in the design from the back. You then put top coat over it and peel it off like a decal. 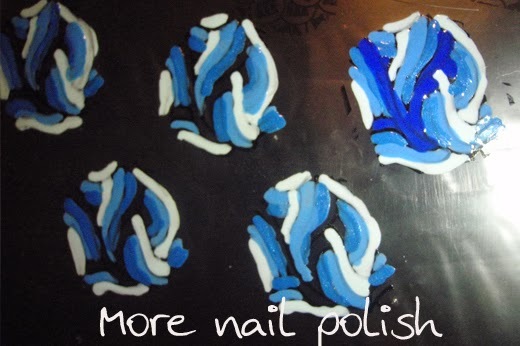 At this point you could punch out shapes with craft punches or you can apply the whole decal to your nail. I chose to apply the whole decal (obviously!). 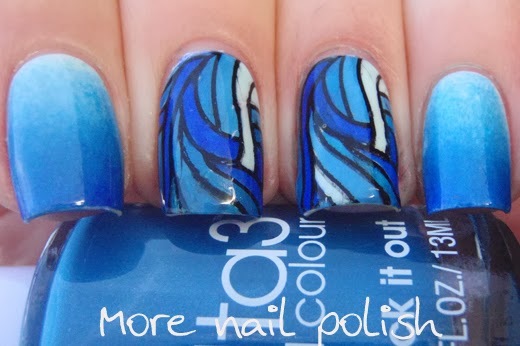 I did use four shades of blue, although the two middle shades are very similar. On my pinky and index finger I did a simple gradient using all four colours used on the decal. I forgot to take photos of my nails before I left for work, so these are some very rushed ones that I did as soon as I got home. I did have both hands painted but was hurrying in the fading light and forgot to photograph them. Below is a quick action shot I took as I was painting the stamped designs on a piece of plastic. Tip: Use thick plastic like a zip lock bag and sticky tape it down so you don't get any waves in the plastic. Neat! I've never heard of this! Its a cool idea. Stunning combinations! And thanks for the tips with making stamp decals! Hope to try this soon. Dang girl, amazing! 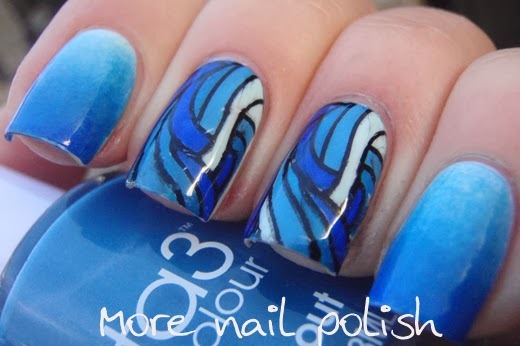 Great post and nails, stunning! Pretty! 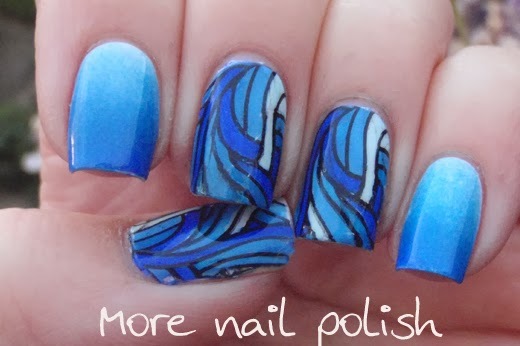 I've actually seen similar techniques where you paint the filling right on the stamp itself, and then peel the whole thing off and stick it on like a decal. This looks so pretty! I love how it almost looks like stained glass :) The stamp decals look fun! Enchanted Polish Austin Powers with a dupe?